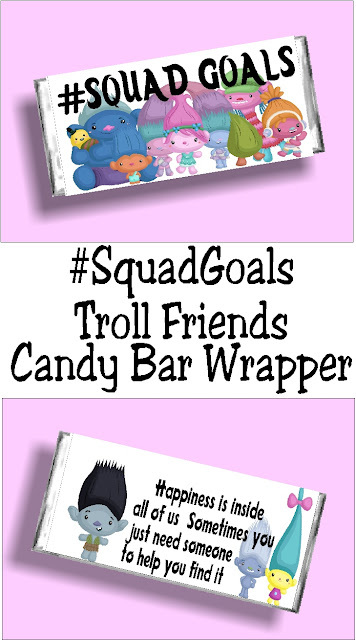 Celebrate your friendships and your #squadgoals with this Trolls printable candy bar wrapper. This wrapper is perfect to give to your friends this Valentine's day or any day to let them know how much they mean. Click and print today! I went home again this Christmas and ended up watching my niece again. I love the little stinker and am so glad she was out of the Moana stage. As much as I love the music and story, I am glad not to have "Shiny" or "Thank You" stuck in my head all day long. But instead, we watched and listen to a ton of Trolls. So now, I have that stuck in there. So of course, I've been thinking a lot about a Trolls party...in particular a Trolls Valentine's party. I think their is such great inspiration without being too mushy and lovey dovey. 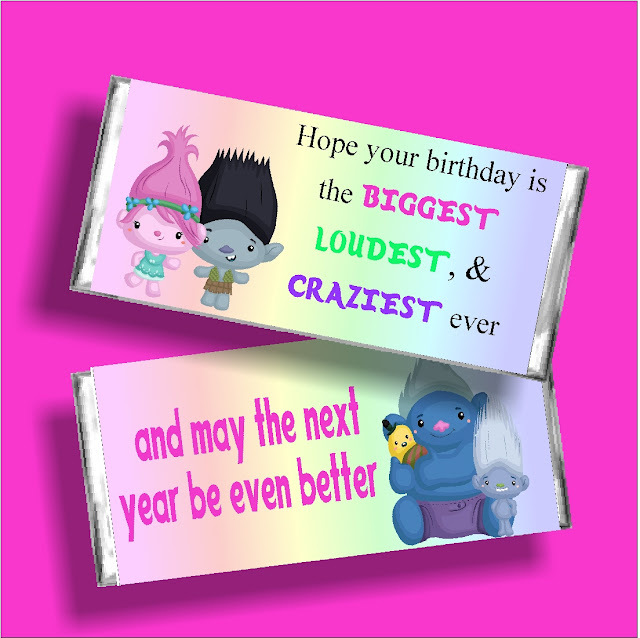 In thinking about a Trolls party, I created a few Trolls candy bar wrappers today. One was put into the Party Store, while the other wrapper, I am sharing as an exclusive Thank You for my email Newsletter subscribers. If you are a member, you know I love to share lots of freebies and fun in our weekly email. I am currently working on upgrading the content so you get exclusive printables and great party ideas. 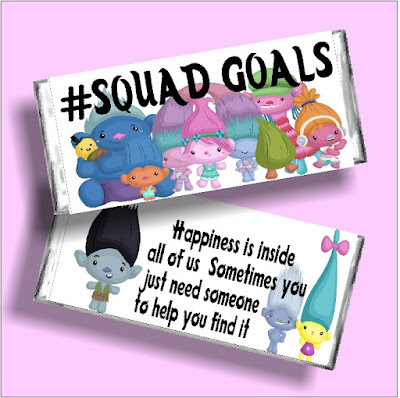 If you want a copy of the #SquadGoals Trolls printable candy bar wrapper, simply sign up for our Email Newsletter and it will be sent to you immediately! How awesome is that?